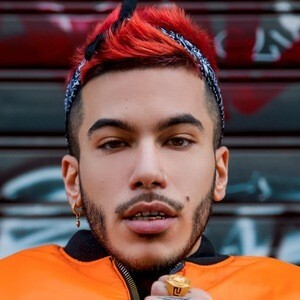 Rapper credited with pioneering Italian trap music. After beginning his career on YouTube, he released the debut album XDVR with Charlie Charles in 2015 and followed with his solo eponymous album in 2016. He first began posting original music to YouTube in 2011, but found little success. After meeting Charlie Charles, they formed the Billion Headz Money Gang and released a mixtape in 2013. His eponymous solo album peaked at #1 on the Italian charts. The album also earned gold certification in Italy after its release. His real name is Gionata Boschetti. He was born in Sesto San Giovanni. In 2015, Marracash was featured on his single "XDVRMX."